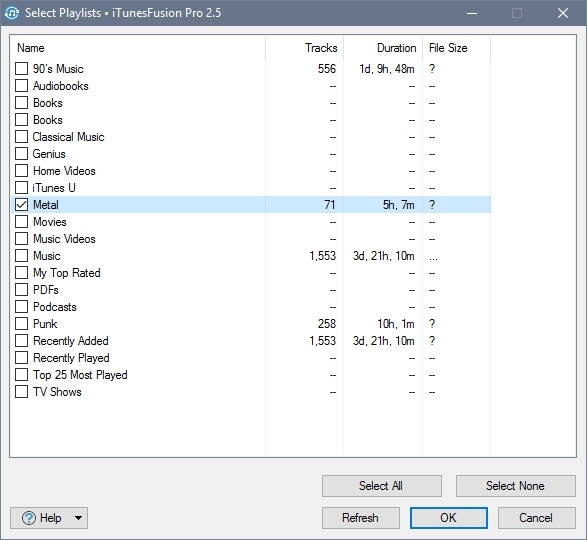 In just a few easy steps iTunesFusion will let you synchronize any iTunes playlist(s) with almost any device! You can configure as many different devices as you need and synchronize each one with different iTunes playlists. You can use standard playlists or dynamically updating smart playlists to synchronize your device. iTunesFusion also has built-in support for many different languages! Apple devices, like the iPad, iPod and iPhone need to be synced from inside iTunes directly, they are not supported in iTunesFusion. Sync ProfilesWith iTunesFusion's Sync profiles, you can set up multiple devices with different settings to quickly and easily sync the music you want to any media device. 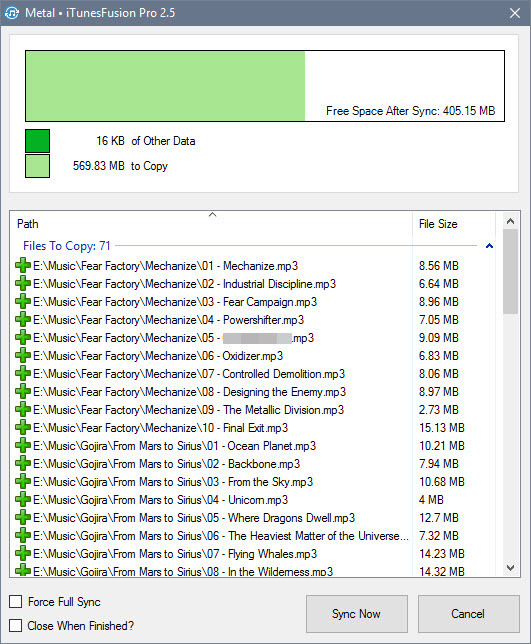 Customize things like the iTunes playlists you want, where the music will sync to, and even set up custom file names. Smart SynciTunesFusion automatically knows what is already on your device and what is in each playlist, so it only syncs the media that's needed. iTunesFusion will also copy the files in alphabetical order, so older devices will play your files back in the proper order. 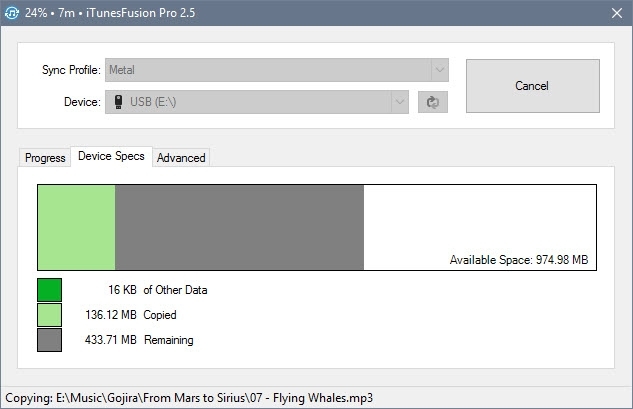 File ConversioniTunesFusion can automatically convert any unprotected music file to MP3 using its built-in File Conversion feature. 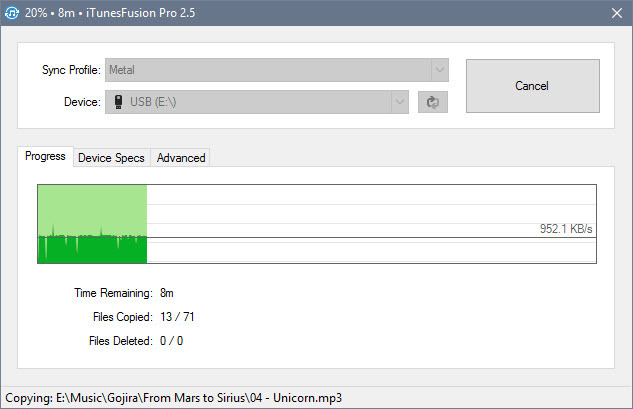 Convert (transcode) your files to work on older devices, or to use a lower bitrate and save space on your device. 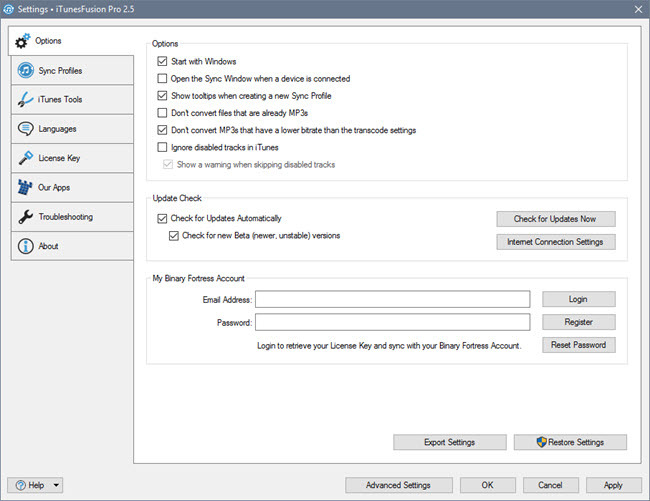 Excellent Device SupportSync to any media device with iTunesFusion's MTP and USB device support. This includes your Android Phone, Windows Phone, Blackberry, USB key, external hard drive or a newer MP3/MP4 player. Advanced Sync ProgressWith iTunesFusion's progress and device charts, you can keep track of everything that is happening to your device as you sync.